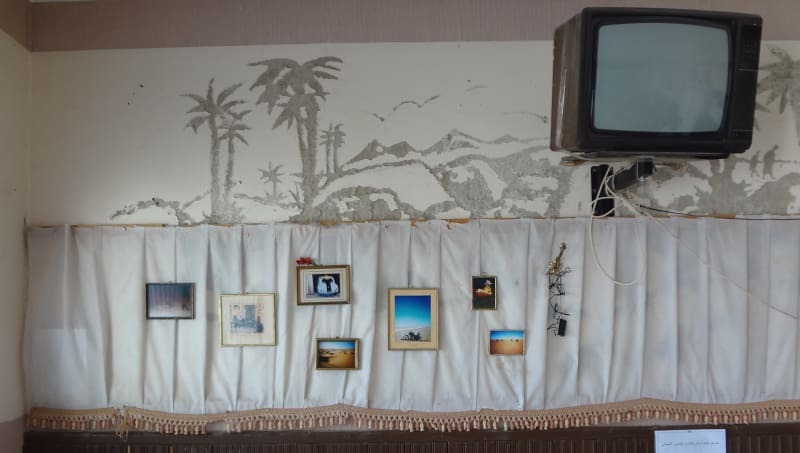 installation view, Maison de la Culture in Sidi Bouzid - Tunisia, 2015. This work consists of seven photos, battery-operated Christmas lights, used picture frames, plastic flowers and a decorative hook. The title is borrowed from a refrain in the song Firestarter by The Prodigy. This title references the catalytic action of the Tunisian street vendor, Mohamed Bouazizi – whose self-immolation arguably triggered the Jasmine Revolution, and the subsequent Arab Spring. This project was first presented at the Maison de la Culture in Sidi Bouzid, Tunisia. Chris Burden is nailed, Christlike, over the hump of a Volkswagen Beetle. I crash my Vespa through a burning Canadian flag. Five images feature myself with a group of friends, on a motorcycle trip through Southern Tunisia.